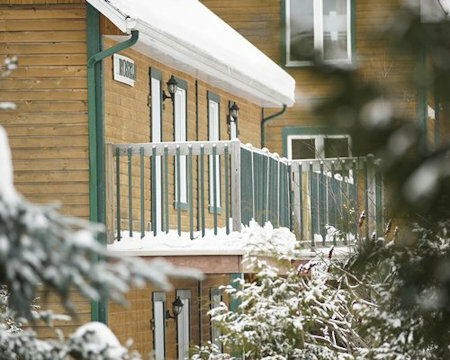 Buy a 7 Night Stay in a 2 Bedroom at Privilege Mont-Tremblant¿Village in Mont-Tremblant Quebec, Canada! 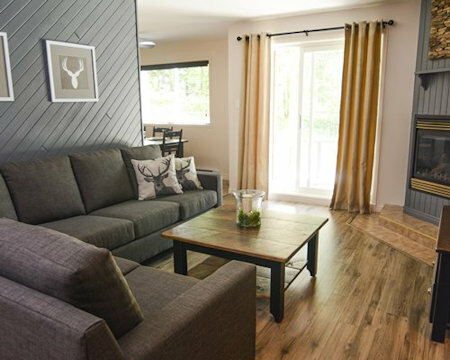 Enjoy 7 Nights in a 2 Bedroom Suite at Privilege Mont-Tremblant–Village in Mont-Tremblant Quebec, Canada! Club Privilege du Mont-Tremblant is a hidden gem in the Laurentians, simply a beautiful spot for a vacation anytime of year. In winter, enjoy downhill or cross-country skiing, ice skating, dog sledding, and walks in the snow. 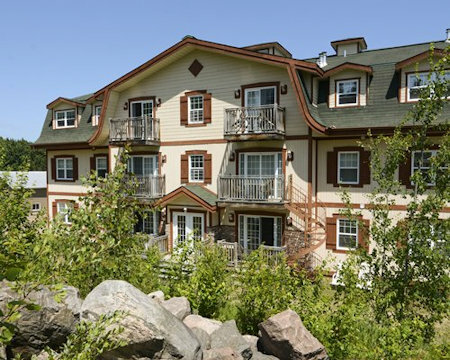 In the summer, Club Privilege du Mont-Tremblant offers swimming in the on-site pool, and fishing of windsurfing in one of the many nearby lakes. Visit the surrounding areas or all the attractions in Montreal, which is just a 90-minute drive from the resort. 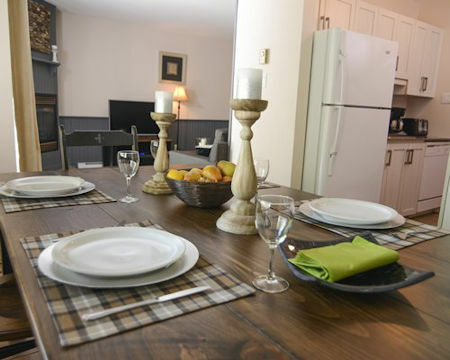 The Mont-Tremblant area is a true natural paradise in Quebec, Canada that has lured both city and country-dwellers with its plentiful beauty, abundant sporting activities and first-rate nightlife and entertainment. Its picturesque villages are reminiscent of some of Europe’s most famous ski locales, providing visitors an inviting stop for their next vacation. Mont-Tremblant delivers an authentic mountain retreat with a variety of activities from scuba diving to downhill skiing to suit every traveler. Accommodations fully integrate guests into this idyllic mountain environment. 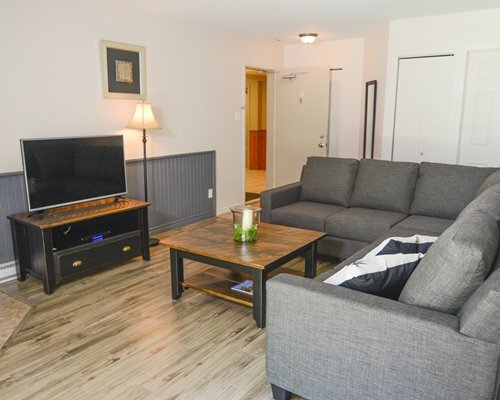 Equipped with plenty of home-like conveniences, all units come with a full kitchen and dishwasher, among other amenities. 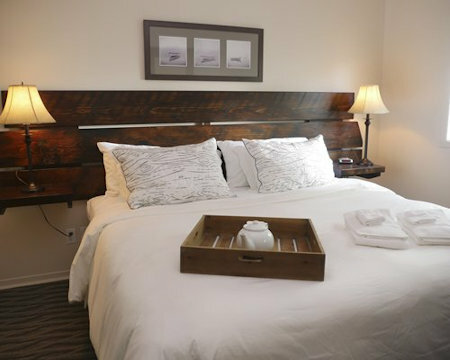 2 Bedroom Suite: (maximum occupancy 6) have 1.5 baths, a full kitchen, 1 king, 1 queen sleep sofa bed. Please notify the resort if you anticipate arriving late. A US$300 security deposit is required at check-in. Fireplaces may be used only with firewood provided by the resort. The resort has three levels and no elevator. There is a mandatory CD$100 (plus tax) facilities/ utility fee per unit per week.